Resnick talks with BuzzyMag about the Lucifer Jones series, embedding humor in Science Fiction, African inspiration, Dead Enders, and his upcoming work. JMW: Hello, this is Jean Marie Ward for BuzzyMag.com. With me today is award-winning best-selling author Mike Resnick. Welcome, Mike. Mike Resnick: Thank you very much, glad to be here. JMW: We’re glad to have you. The list of your publications and awards is humbling. So let’s start with one of your personal favorites, conman extraordinaire Lucifer Jones . What was the inspiration behind this scamp and why do you like him so much? 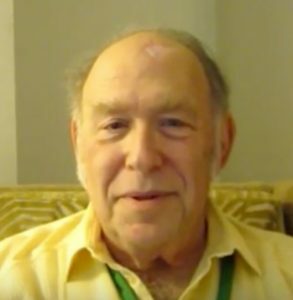 Mike Resnick: Back maybe 35 years ago, I was trading videotapes with a number of friends and when we would see that something was gonna be on the air and it was in a different town, we would call and say, “Would you record that for me?” And somebody asked me to record Ursula Andress in “She”. And back then, everybody knew Betas were the best recorders and the Beta tapes were only two hours long. I looked in my Malten [SP] guide, “She” is an hour and fifty-five minutes. I realized I couldn’t just put it on and record commercials and all. So I had to sit there with the clicker in my hand to delete commercials, and my wife came into the room 20 minutes later saying, you know, “You’re watching a Marx Brothers movie and you didn’t tell me, you’re laughing so loud.” And I thought, “Well, if they can be that funny by accident, what could I do on purpose?” So that night I plotted out “Adventures “, the first Lucifer Jones novel and he is my favorite character. He’s the most fun to write, I love humor. It doesn’t begin to sell as well as anything that’s mildly serious or depressing, but it’s a lot more fun to write. Doctor Lucifer Jones is a conman seeking his fortune as a faux missionary preacher traveling across Africa to raise money for his Tabernacle. Each short story is another hilariously ridiculous scheme that usually ends up as a failure. JMW: Well that gets into our next question. You know, comedy is hard to write and underappreciated compared to more overtly serious works. We discussed off camera that actually comedy’s pretty serious. Why is humor so important to you as a writer, as a reader? JMW: Or the Marx Brothers. Mike Resnick: Or the Marx Brothers and they’ve all been dead a long time. JMW: I think we also need humor just to counteract the rest of the world. Mike Resnick: That’s certainly something to consider, yes. I’ve probably sold over 100 stories. One of the things I like about science fiction is, I hate to put it in these terms, I can get away with it. I don’t think I could in most fields. JMW: Well that is a good point in science fiction’s favor. 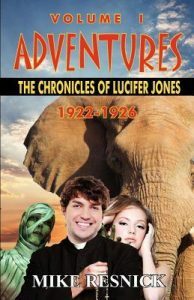 Lucifer Jones, apropos to what his inspiration was, began his adventures in Africa. Africa and particularly Kenya continue to play an important role in your work. What was the source of your fascination? Mike Resnick: Well I’ve always been interested in Africa, but the way I… And in Kenya especially, but the way I found justification for using it so often either as itself or as an analog is this, I think if you really consider it, if we can reach the stars, we’re gonna colonize them. If we colonize enough of them, eventually we’re gonna come into contact with a sentient race. 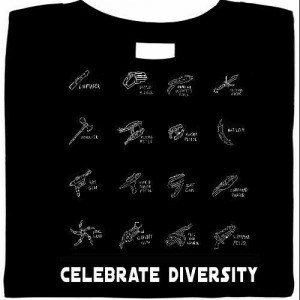 Africa offers 51 separate and deleterious examples of the effects of colonization on both the colonizers and the colonized. And that’s my kicking off point for an awful lot of stories that I set in the future and in space, but they’re basically because I’ve seen what’s happened in Africa. JMW: At least one of them a Hugo winner, I believe. Mike Resnick: Actually, three of them are Hugo winners. Mike Resnick: Yeah, I…you know, when I say I extrapolate, which is one of science fiction’s favorite words, it means I swipe from the present and put it in the future. I do not write what they call hard science. I don’t even write soft science, I write limp science. 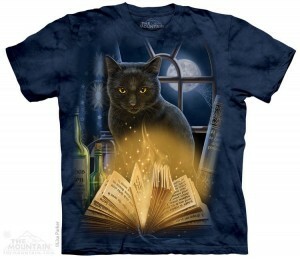 I am much more concerned with the characters than the ideas and the effects of situations on the characters. And they’re a lot of science fiction writers who now agree. When I got into the field 50 years ago, there was an endless battle going on, what was more important, the idea or the characters? I think over the last 30 or 40 years characters have won because they’re the most important thing in any kind of fiction. JMW: How do these strategies apply to space operas? Okay, you’re writing limp science, but you also write space opera. How do you get away with it? Colonel Nathan Pretorius has a record of success on dangerous behind-enemy-lines missions. After nearly dying and needing to get replacement body parts, he is given another mission. Him and his hand-picked team are tasked with replacing Michkag, the leader of the alien Traanskei Coalition, with a clone. Mike Resnick: Well, you suspend a certain amount of reality. For example, when you read about ships crossing the galaxy at light speed, it would take you at the speed of light 110,000 years to cross the galaxy. So even that is unrealistic, to say, well, we beat Einstein’s equations, now we’ll colonize 10,000 worlds. No, we’ll beat Einstein’s equations and get to Alpha Centaurus in somewhat less of a lifetime, and that’s the nearest star. So to me, I pretty much throw that out and whatever I want to say in a space opera…and I tend to think that my stuff is a little more sophisticated than space opera, but when I use those techniques, they’ve nothing to do with science and not that much to do with reality until I set up a situation and people respond in a realistic way. JMW: All goes back to character. Mike Resnick: Yup, it always does. For me anyway. JMW: Yes. 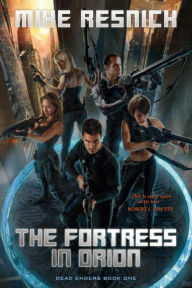 The final book in the “Dead Enders ” series, the series that Amazon at least describes as space opera and your current series, is the “Castle in Cassiopeia“. It’s scheduled for publication in early 2017. Can you give our viewers a little teaser for the new book? Mike Resnick: Sure. This is the third book in a trilogy that is very similar in approach, though not in details, to the old Peter Graves “Mission Impossible ” show, in which a small group of experts in different fields combines to solve a huge problem. And the problem they solve in the first book was putting a clone of an enemy general who they had raised and trained to be on our side and think like us in the enemy general’s place. Comes the third book, the one I’m working on now, and what has happened is the clone kinda likes being the enemy general and he knows a lot more about us than enemy generals are supposed to, and they’ve got to find some way to eliminate or at least dethrone him. And that’s what this particular mission is about. JMW: Is there a chance there will be other books in the series beyond the trilogy? Mike Resnick: Probably not. I’ve got about nine more books I’m under obligation to write, either alone or in collaboration. I love writing. I write pretty fast and I write a lot. But this year, for example, I’ve handed in six books and it’s the first week of September, I’m handing in two more. I’m 74 years old, that’s not bad for an old geezer, but I can’t plan that many books ahead just in case. JMW: Yes, never plan the contract on your 99th birthday, yes. On top of everything else, as if all nine books, six books, whatever wasn’t enough, you edit. Is it true that the best part of editing is eating writers for lunch? Mike Resnick: Not really, but it comes close. No, the two things I edit, the “Stellar Guild ” books and “Galaxy’s Edge” magazine, both were… This publisher, Shahid Mahmud, a wonderful fellow, came up to me and asked would I be willing to edit for him. I said yeah, but he probably wasn’t gonna be interested because I’m only interested in pushing beginners. And he said, “Well, give me a format.” So I said, “Well, for the magazine we can’t run all beginners.” There was about 30 years ago called “Unearthed“, that ran nothing but first stories, it ran William Gibsons’s first story, and we haven’t heard about him for 29 and a half years. They don’t sell because nobody knows those names. So I said, “For the magazine format, I would like to run four reprints by huge names that we can put on the cover that’ll sell the magazine and allow me to buy seven or eight new stories by new and newer writers.” The current issue, for example, has reprints and their names are on the cover in big bold type, “George R. R. Martin“, “Robert Silverberg”, “Nancy Cress”, “Rob Sawyer”, and that lets me buy a lot of new stories. Now with the “Stellar Guild ” books, that’s a different experiment. That’s where a major, major figure, some of the ones we’ve used are Larry Niven, Robert Silverberg, Mercedes Lackey, Kevin Anderson, where they will write a novella and a beginner of their choosing, who they work with, will write a sequel or prequel or a novella at least set in the same universe. And when the book comes out, they share title…they share credit on the front page of the cover. And I gotta tell you, when you share a byline with Larry Niven or Eric Flint, it does you a lot more good than selling one or two stories as a beginner. So, both of these lines were set up. I agreed to edit them provided we could help newcomers. And the reason I want to help newcomers is because I have loved this field since long before I even got into it 50 years ago and I can’t pay back everybody who helped me is rich or dead or both. So, I pay forward. JMW: That’s a very important philosophy in science fiction and, well, the speculative fiction arena, and I’m so glad for it. Okay, what are you working on now? Yes, we know about “Castle in Cassiopeia“, yes we know about “Stellar Guild” and “Phoenix Picks“, but about those other thousand books that are on your plate, tell us a couple. Mike Resnick: Alright, one of them, I just agreed to collaborate with Jody Lynn Nye, who is also a best-selling writer and a friend for many years, on a book called “Ophir“, based on all my studies of Africa, if you will grant only one thing, that King Solomon’s mines exist somewhere, I know exactly where they are and I know exactly why nobody has ever found them. And I was talking about it with Jody and she said, “Oh, she would love to collaborate on that book.” So I said, “Sure.” Another one, I have a final Lucifer Jones book to do. At the end of each book, he gets kicked off the continent never to return, never to be allowed back. Well he has now been kicked off North and South America, Europe, Asia and Africa. All that’s left is Australia. The current book, which is…I handed in, it’s coming out next year, is called “Voyages“, and that’s where he island hops across the Pacific to get to Australia and has some interesting adventures there, like running into King and Mrs. Kong, and he’s no longer allowed back onto any of those islands. So I only have one more place he can be thrown off of and the series is over. Mike Resnick: Oh, well he’ll be in Antarctica for a chapter or two. These things are set, oh about 70 years ago and there’s no more than a chapter or two you can say about Antarctica in the 1930s or ’40s. JMW: This is true, this is true. Anyway, we have reached the end of our interview. Mike Resnick: Well, it’s been a delight and thank you for inviting me. JMW: Well, thank you for been here, Mike, and thank you for BuzzyMag.com.